I say it every month, but how is it the end of May already?! This month was simultaneously endless and flew by. Again, describes almost every month. Because the months fly by so quickly – even when individual days and hours can drag on forever, amIright?! – I find it a hugely helpful practice to reflect. Other months are survival mode and the fact that my family and I are still alive and haven’t burned down the house is a huge success. 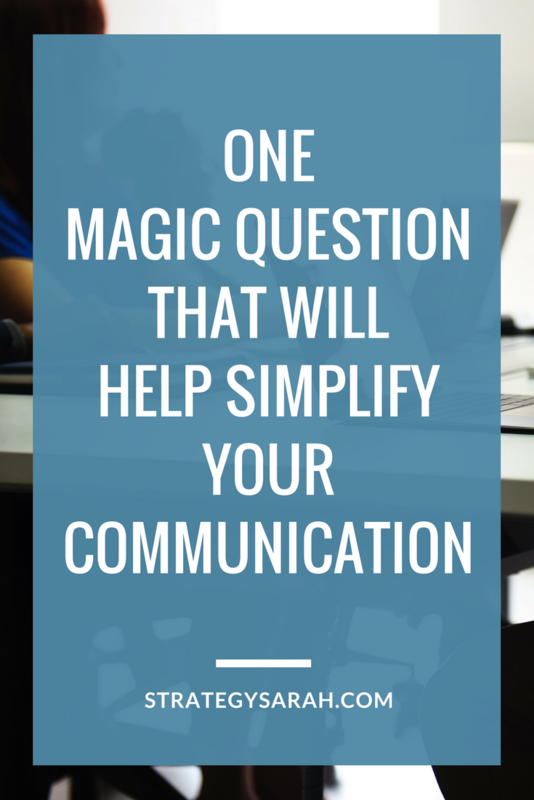 It is SO incredibly easy to miscommunicate – to think that you are communicating more clearly than you are. Did you actually say what you thought you said? Or did you assume that your recipient knew more than they actually did? I’ve gotten a surprising number of emails lately that were less than clear, and required multiple follow ups to confirm what should have been simple questions. It’s infuriating! It also made me think more about how often I’m the one sending the unclear messages, and to take some extra time proofreading. Am I being as clear as possible? Is this all of the information needed, or am I making assumptions about what someone else knows and where they can find the rest of the information? 2. Reading is important – even especially fluffy relaxing reading. I realized a few weeks ago that my time spent reading had dropped dramatically this spring. I’ve been fairly stressed out lately, and started to wonder if that was one of the reasons why. I’ve always been more likely to head for a book than the TV for relaxation. April and May in Oregon are rough. The rest of the world starts talking about sun and BBQs and pools, and we’ve got endless, endless rain. Memorial Day weekend gave us some much needed sun and warmth, and it was incredible. My boys are entering the golden age of summer, spending time running back and forth to the neighbor’s house, playing in the back yard and the cul-de-sac, helping out with lemonade stands and playing with water balloons. 4. YNAB is amazing. Really. I started using YNAB to manage my budet several years ago, and fell in love even more when they added a cloud-based version that imports transactions from your bank account. If you and I have ever talked about money, I’ve probably told you that you have to try YNAB. And if we haven’t, I’m telling you now. You have to try YNAB. They even have a 34-day free trial (so you can see the full benefits of tracking and reconciling an entire month’s budget). 5. Sugar is not good for me. No matter how much I’d like to think otherwise, I really do feel better when I don’t eat sugar. I’ve been feeling a bit sluggish, and then read The Case Against Sugar. (Note: Don’t read this if you want to happily continue to eat sugar. Although it is a fascinating case study on human behavior.) A friend and I started a Whole30 yesterday to get back on track. I’m only about 85% mentally committed this time around, so we’ll see how successful it is. 6. A simple plan executed well (or even simply executed), is better than endless ideas. I love ideas, and organizing and plans. I’m great at making elaborate plans and then failing to follow through. I recently reviewed a plan for an upcoming project I’m working on with my friend Mandi on the Ultimate Bundles team. I felt like the plan was a little light, but Mandi didn’t. It was a great reminder to me that actually executing the small plan (which really isn’t as small as I think it is!) is far better than an elaborate plan left in a drawer. What have you learned lately? Share below or drop me a note! 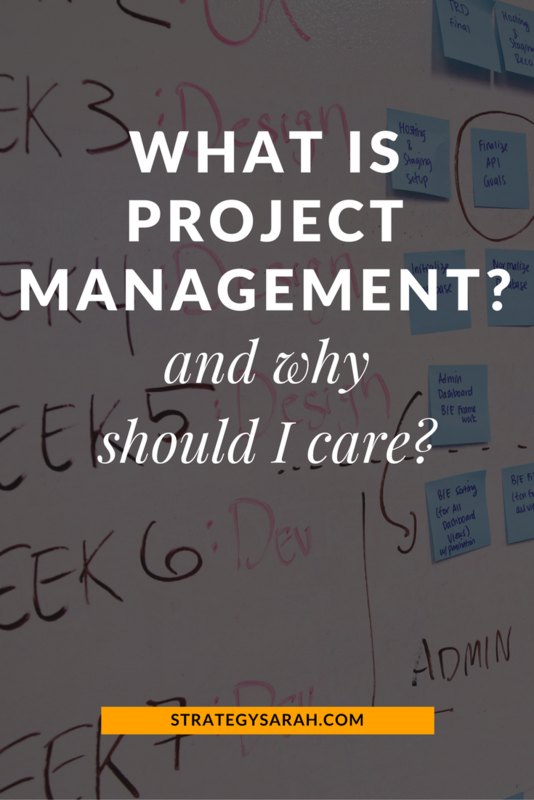 What is project management and why should I care? Project management is a tool that will help you achieve any goal. And project management is fun! When I talk about project management with people who aren’t project managers, I tend to get a lot of blank stares. 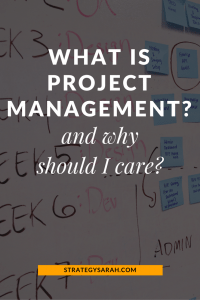 Um, what is project management? Unless of course, the person happens to work in technical fields, such as engineering, IT or software. I also get a lot of shudders. I’ve heard the term called exhausting, torture, anxiety-inducing, and a whole lot of four-letter words. That makes me sad. When starting a series on “Project Management for Creatives,” I spent a lot of time trying to come up with a catchier name that didn’t make it sound potentially negative. But the truth is, project management is important for creatives. 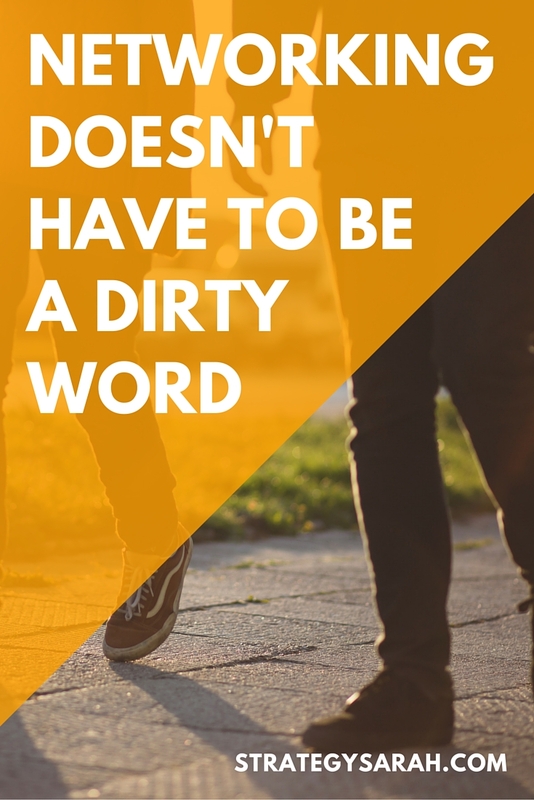 And project management isn’t a four-letter word! We’re here to de-mystify project management. Let’s start with a definition of what project management is, and how that applies to the creative space. How’s that for a load of words that could be applied to absolutely anything?! Key note: Project management isn’t limited to any particular industry or type of project. It’s universally applicable. Project management isn’t limited to any particular industry or type of project. It’s universally applicable. What is project management in real, everyday terms? Project management is simply how you get the work done that you need to get done in order to be successful. It structures out the beginning, middle and end of a project. Project management gives a clear framework for what to do when, and how to do it. Project management is used to ensure a designer can use their design and communication skills to design a website on time, on budget and to customer specifications. Gotten 80% done with a project and stalled out? Had a potential customer contact you about work and never gotten around to following up with a proposal? Gotten paid peanuts per hour because you wildly under-estimated the amount of time a project would take? Had a client keep adding more requests to the work you initially agreed upon? All of these challenges are eliminated with clear application of project management skills and techniques. And you can learn them. You don’t have to, of course. There is an entire industry of project managers out there that truly love doing this (myself included). It’s up to you to decide if you want to learn to manage your projects better, or hire someone to do it for you. Likely, you’ll do a combination of both. 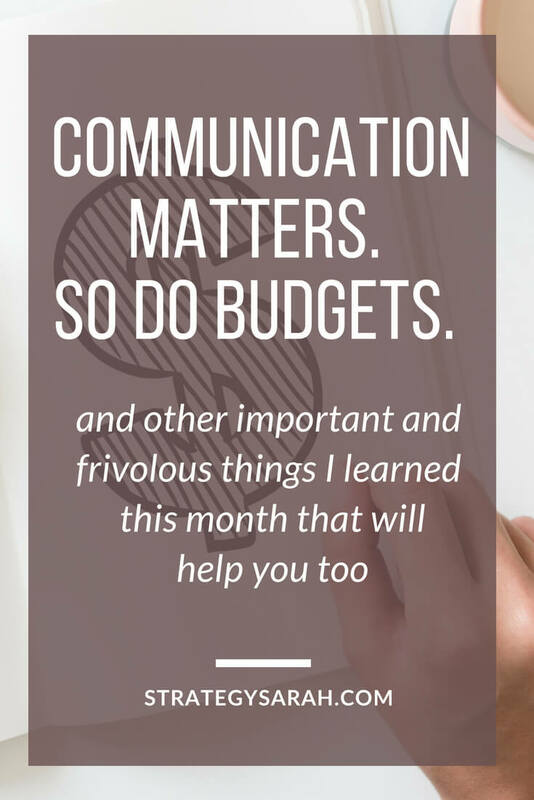 In this series, my goal is to show you that you can manage your own projects, and equip you with tools to do so. Additionally, you’ll also learn key things to know and look for if you chose to hire a project manager. Project management done well makes your life so much easier, and your work so much better. And that’s a win for everyone! Project management is simply how you get the work done that you need to get done in order to be successful. What has been your experience with project management or project managers? What’s the number one thing you’d like to know about project management? A few weeks ago, we unexpectedly found out that my younger son needed surgery. This entailed a quick, but non-urgent trip to a specialist. The specialist’s office has new patient paperwork online to download, complete and bring to your first appointment. Fantastic! I was excited to be able to complete the paperwork before sitting in the waiting room with a wild preschooler running around. Then I downloaded the forms. Blurred lines, grey type. Clearly a poorly scanned copy of a really old printed document. Most definitely not a fillable form. I hit “print,” and dutifully started filling the form out. While clearly included in a packet titled “Pediatric Forms,” the form turns out to be a hastily adjusted version of an adult form. First the form asks for the patient’s contact info. Then has a space for one emergency contact’s info, complete with home, mobile and work. All good, except there’s no clarity on what should be the patient’s info vs the parent’s info. Are we the emergency contacts? Or is it asking for our info in the patient info line and then another emergency contact? Either way, there’s no space to input separate phone numbers for each parent. With as many years as cell phones have been around, this seems crazy. I hacked together my own notations that Home meant my husband’s mobile and Mobile meant my mobile and continued on. The paperwork was completed, the surgery was scheduled, and the office clearly had our information and was able to contact us. However, customer data is a key piece of information for a doctor’s office. While the core competency is practicing medicine, patient data and communication is a close second. How does this apply to your own work? Old, outdated content and unclear forms don’t instill extra confidence in any business. In this case, the business is a well regarded surgeon in our area, and patients have limited options for his speciality. It would appear that outdated forms aren’t affecting his bottom line enough for him to do something about it and he’s able to get away with it. Do you want to “get away with” having your information unclear? Are you able to? Or is it directly affecting your bottom line? Wouldn’t you rather be known as having the best, most up-to-date information around? I would. We live in a day and age where information quickly becomes out outdated. As much as we obsess over what we’re doing, the reality is that we are entirely too close to our own work to see it as the consumer truly sees it. This happens even if we are in our own target market (which isn’t always the case!). Your marketing doesn’t have nearly the reach you think it does. What’s obvious to you may be super-obscure to even an avid consumer in your target market. 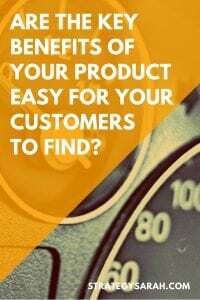 Are the key benefits of your product actually stated publicly and easily to find? Or have you assumed they are publicly stated and easy to find because you’ve paid so much attention to them and know them so well? 99.9% of consumers aren’t paying as much attention to you as you think they are. What forms, process or policies do you have that may be outdated? Regularly review your forms and make updates where necessary. Don’t overcomplicate this. An easy way to start is to review a form or document every time you use it. What could unclear to your consumer, vendors and colleagues? Review your marketing materials critically to see what may be outdated or incomplete. Bonus: Ask someone who is not very close to your work to review and given an honest assessment. You might be surprised at what they do (and don’t) take away. I have always hated the term networking. It just feels sleazy and always reminds me of a used car salesman. And gives me visions of people in stale, horribly decorated hotel conference rooms with business cards and suits. Definitely not what I think of when I want to build a business. But what I am coming to see is that I often network without even realizing it. 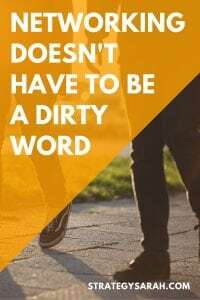 Networking is often putting a fancy name to normal, intentional conversation. It’s taking advantage of moments in everyday life to talk about yourself and what you have to offer. I can do that! Networking is chatting with another parent in the pickup line at church. Networking can be chatting with the barista at the coffee shop, or the person in line behind you at the grocery store. We took about 30 minutes to go about 100 yards. And we saw several people more than once as they came and went in the time it took us to go 25 yards. Some stopped to say hi, or make other comments to him. One lady, Crystal, stopped and chatted for a few minutes. She has a son a little younger than mine, so we compared notes on raising little boys. As she was leaving, she casually mentioned that she works at a local barber shop, and does child haircuts. Incidentally, it’s the same shop my husband gets his hair cut at, and it never occurred to me that they did kids cuts. I haven’t been there myself. You can bet that if and when we take him somewhere for a cut, I’ll go there. At the time, I didn’t catch her name, but I assumed that I would recognize her if we went to the barber shop. Sure enough, several weeks after our grocery store encounter, my husband and I took our son to the barber shop to watch Daddy get his hair cut. He is terrified of the clippers, so we figured watching Daddy might help ease the fear. Crystal was working, and immediately engaged our son in play and showed him her tools and how things worked. This had no financial benefit to her – she wasn’t the one cutting my husband’s hair. She genuinely loves children. After we had been there several minutes, she commented that we looked familiar. I reminded her about the grocery store, and she remembered. Before we left, she gave us her card, which she had written her hours on. This was extremely helpful, and gives me concrete information to engage her services. 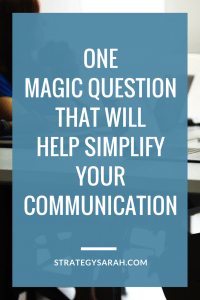 From this encounter, we can see four ways that networking can be effective, while also being completely natural to our personalities and daily activities. What do you have in common with the person? Strike up a conversation. This really can be as simple as “Wow, isn’t it a beautiful day.” Or, in our example, commenting on how cute my son was and what fun we were having. As the conversation warrants, share something that can help the other person – no strings attached. Crystal the hairdresser exchanged parenting tips and stories that were relevant to both of us – and had nothing to do with her business. And once we were in the shop, she showed our son the ropes and did her best to make him comfortable in the environment – with no immediate benefit. 3. Casually share what you have to offer and how the person can find out more. Make sure that the person knows you have a business that can meet their need (stated or implied), and how to find out more. Mentioning where she worked was perfect in the grocery store. And giving us her card and hours was appropriate when we were already in the shop. 4. Do not be spammy, push or try to make a sale. If Crystal had walked up to us in the grocery store and said, “Hey, looks like your son needs a haircut. I cut hair. Here’s my business card.” I would have been totally turned off. But she didn’t. She made a connection first. One key thing to remember: Networking to find clients or jobs is a long term game. It’s about relationships. You don’t network to get a client or a new job today. Network to build connections and benefit your career or business down the road.